Located in downtown San Diego, this project includes the renovation of the existing Best Western Yacht Harbor Hotel and Restaurant. The renovation took place with no disruptions to current operations, and the hotel reported no revenue loss during construction. Included in the renovation were a new main entrance, site improvements, interior upgrades, ADA upgrades, stair tower and exterior skin finishes. We also completed demolition the existing restaurant next to the hotel to the shell framing, re-roofed, stucco’d, landscaped, windows, storefront, and ADA upgrades. One key reason the project was a success was the site logistics and sequencing with the hotel and their occupants. 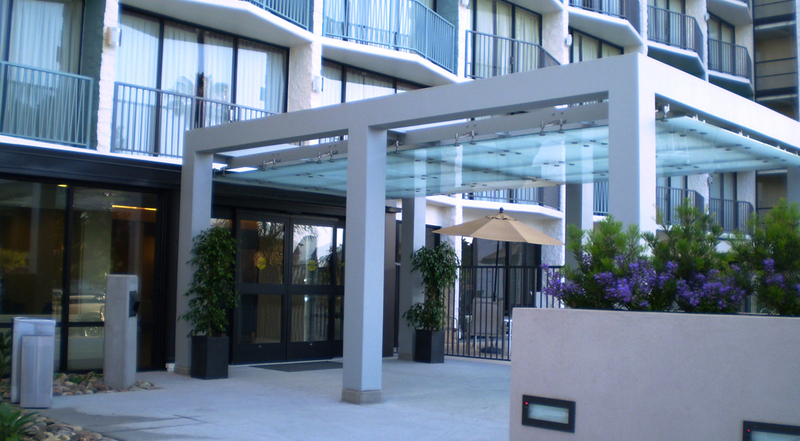 We redirected the access to the building through an existing corridor window and relocated the hotel front lobby area to keep the hotel up and running during construction.